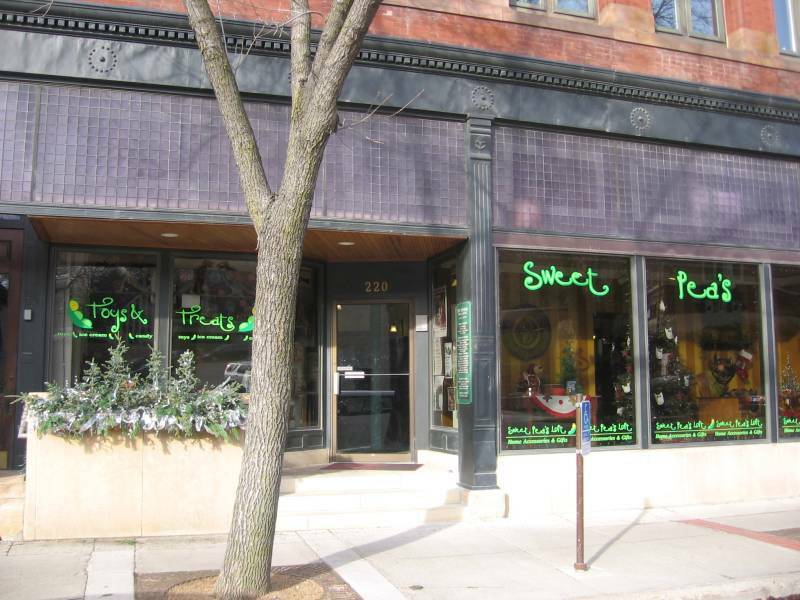 Sweet Pea’s Loft is holiday decoration central in Downtown Northfield. At least that’s what it seemed like to me when I stopped in today seeking gift ideas from owner Nicole Maloney. Sweet Pea’s literally has trees full of ornaments and the look and feel of the entire shop is very festive. There are lots of other fun decorations too, including the apparently quite popular Made-in-the-USA snowmen. 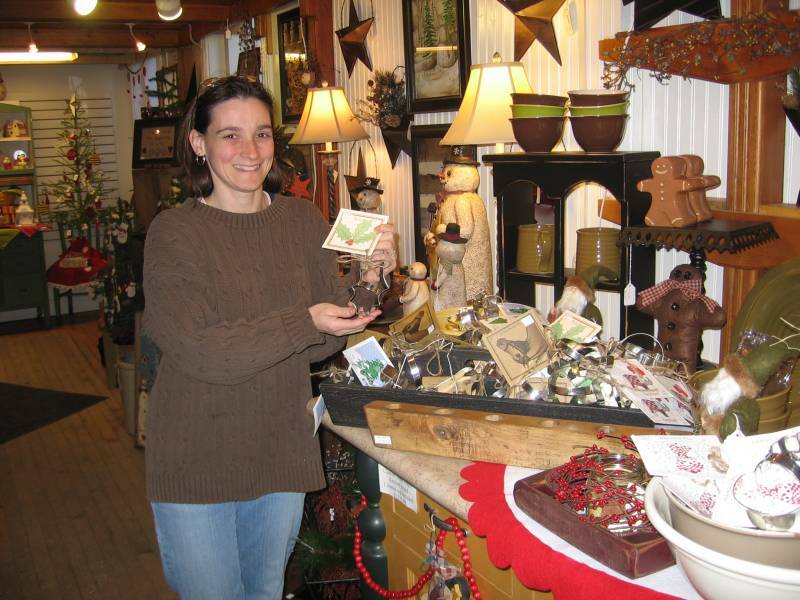 Nicole said that the holiday cookie-cutters have been flying out of the store since Winter Walk. She still has a good selection and let me point out that this would be a gift that keeps on giving for anyone with a fondness for seasonal sweets. She said that the framed prints of small-town scenes have also been doing very well this year and I could see that they have a rather soothing effect. Another popular item that she mentioned to me I’ll describe as wild women wine-stoppers; stop in and see what I’m talking about for these items. So stop on in at Sweet Pea’s Loft and get in the spirit. Nichole has gift ideas to help you succeed.